As part of its new Save our Classics campaign, which encourages the preservation of British classic cars that are facing extinction, we have compiled a list of eight top tips every classic car fan can take to ensure these cars are preserved for future generations. With more than 75,000 once popular models disappearing from UK roads in the last decade, cars such as the Morris Ital, Austin Maxi, Austin Allegro and Vauxhall Chevette now number in the low hundreds and are continuing to decline. ClassicLine is encouraging the classic car community and those new to classic car ownership to help save these cars. But how can classic car enthusiasts go about buying, owning and saving one of these now rare cars? Buy one of these cars! Many of these cars are relatively affordable in comparison to more exotic classics. For example a Morris Ital in excellent condition can be bought for around £5,000. There’s a wealth of buying options out there, buying at auction, buying privately, online or from a dealer but whatever option you go for buy the best you can afford and check the history file. Join a car club. Car clubs are a great way to meet like-minded classic car fans, show off your pride and joy and get discounts on parts and accessories. ClassicLine also provide discounted insurance to many clubs including The Association of Rootes Car Clubs, Sunbeam Talbot Alpine Register and XK8/XKR Enthusiasts Club. Store the car correctly. It can’t be ignored, classic cars can be high maintenance and fragile things. However given correct care and attention they can and should be easy to live with. The best place to leave a car is a dry, airy barn. Wood or brick garages are preferable to pre-cast concrete units, which tend to “sweat” in very cold conditions. One way to avoid the damp problem is to use an inflatable plastic tent, using fans to keep air moving inside. Use marque and model specialists. When sourcing new parts, repairing or restoring a car, servicing and other maintenance try to use marque and model specialists who will be able to give you expert support, particularly on rarer models. Petition the Government to reduce the current UK road tax exemption from 40 years to 30 and increase the current MoT exemption on vehicles made before 1960 to 1970, thereby reducing running costs, encouraging ownership and keeping more classic cars on the road. Petition the Government to encourage schools and colleges to promote the IMI Diploma in Classic Vehicle Restoration. Out of the 22,000 people earning some or all of their living from the classic car industry 43% are 45 years old or more meaning that a large number of the workforce will be retiring or coming up for retirement in the next 20 years. Use it. Classic cars are there to be enjoyed so get out and drive it! Seeing these cars out on the road is fantastic way to promote them. Equally if you’re driving it regularly you’re more likely to keep it in a roadworthy state. Insure the car with us! 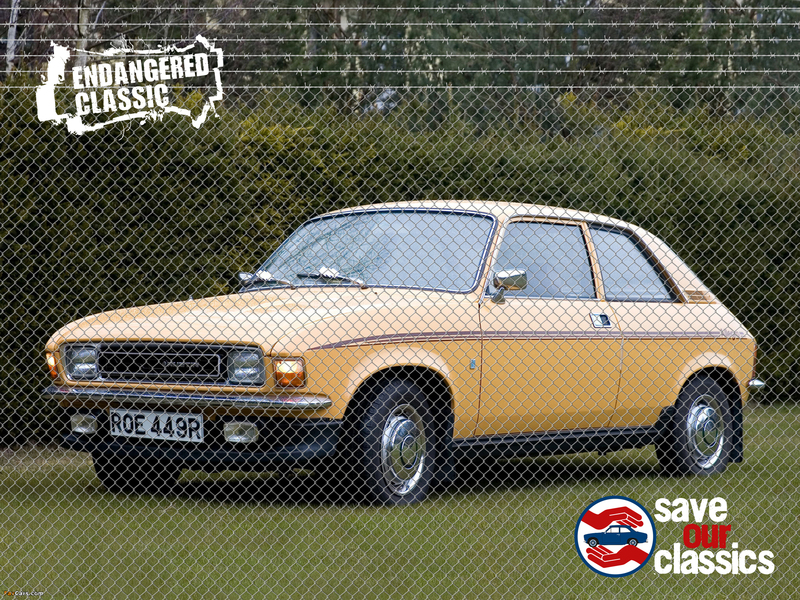 It cost from just £78 to insure an Austin Allegro or Vauxhall Chevette for example. For a quote on any classic car please click here.